Hooray for weekly meal plan day, friends! 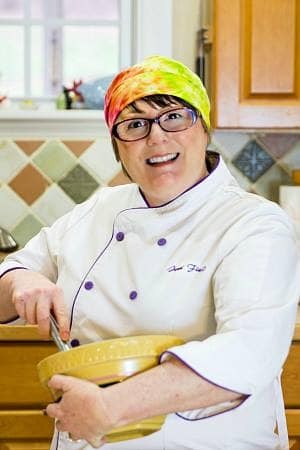 As ever, the dinner divas are here to help you figure out what to feed your family on busy weeknights. And as a bonus, and because we love you, we always give you two “extras,” a side dish, dessert, cocktail or some other fun nibble you can make to enjoy whenever you like. This week, we have a pasta pie you can serve as a hearty side dish or make into a light supper with a salad. 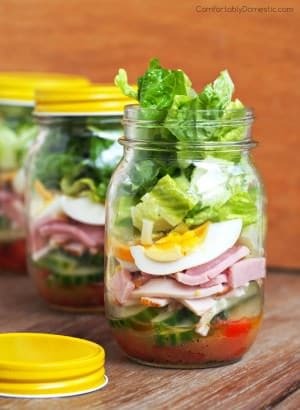 And speaking of salad, we also have a salad in a jar–so easy to shake up and enjoy when you’re on the go. Our other extra? 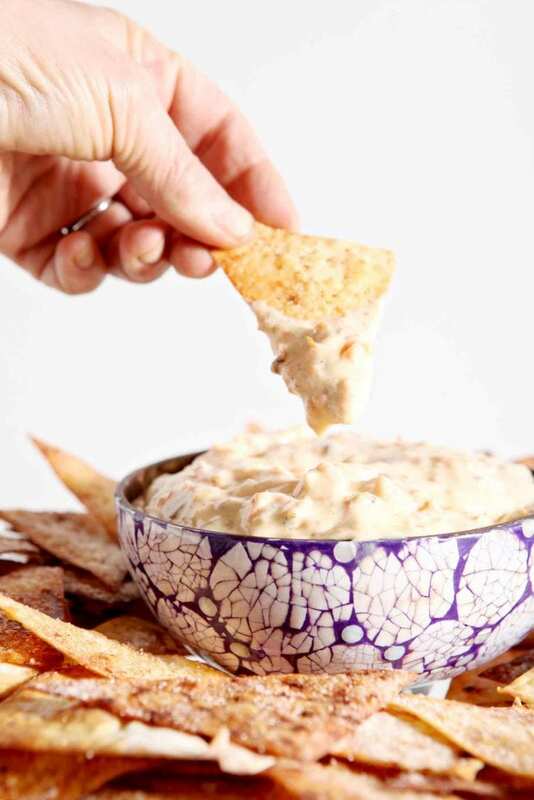 A creamy, wonderful carrot cake dip! Let’s get to it, shall we? 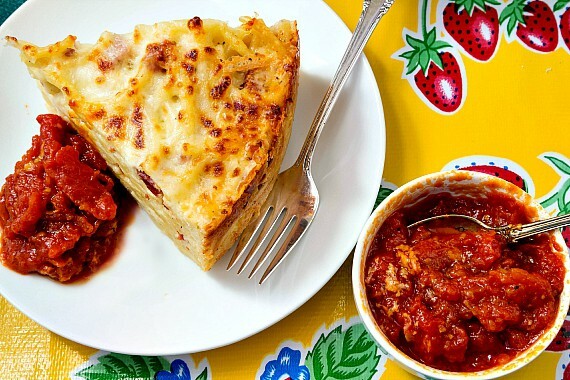 1.6 Spaghetti Pie is Better Made with Bucatini | Your Whole Family Will Love It! 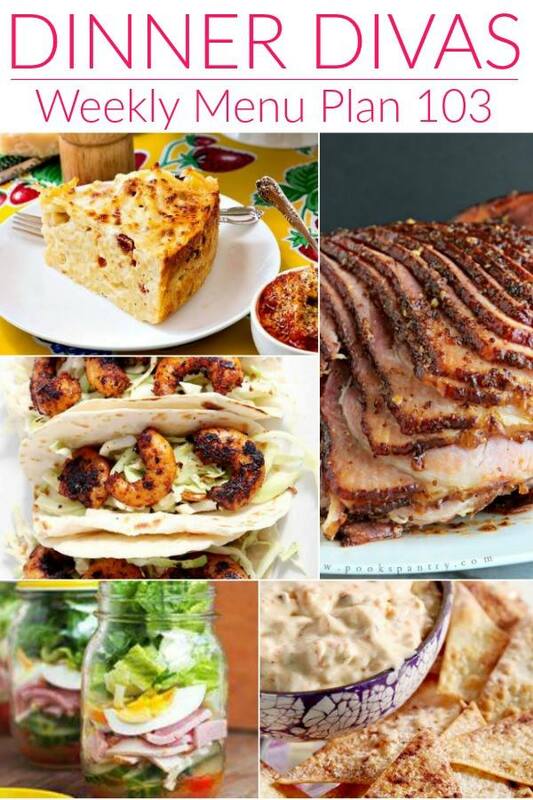 Whether your family is into salads, ham, chicken or pasta, the Dinner Divas have got you covered with easy recipes to feed your folks on busy weeknights. 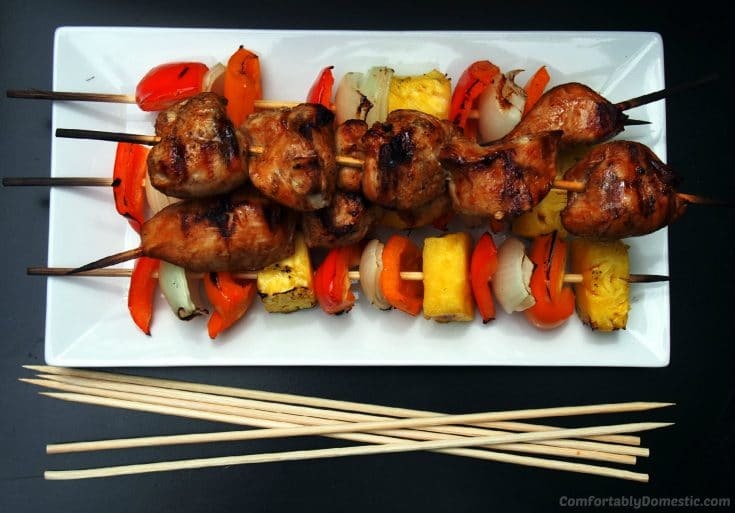 A little sweet and a little heat is always a good combination, and these chicken skewers from Comfortably Domestic fit that bill perfectly. 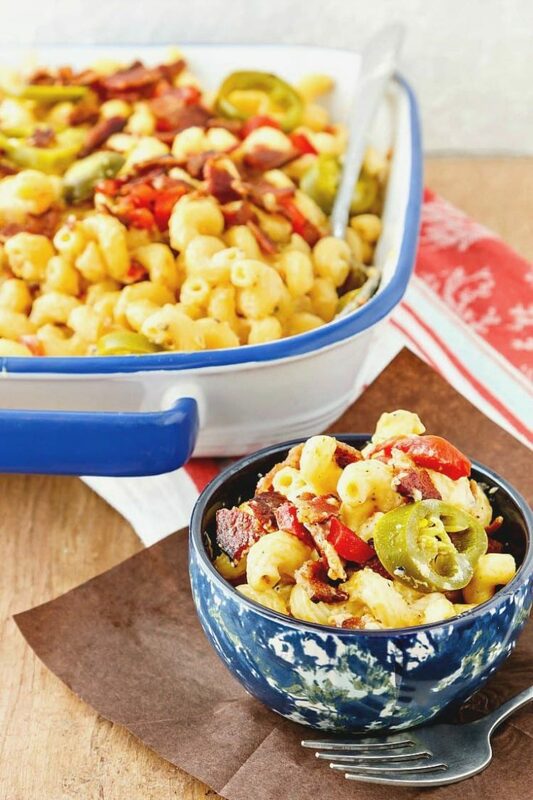 Take your favorite pimento cheese--homemade or store bought--and use it to create a quick and delicious mac and cheese when you mix it into hot pasta. This works best when you use a pimento cheese that's relatively light on the mayonnaise, because otherwise it can get a little too rich. If there is such a thing when it comes to mac and cheese! 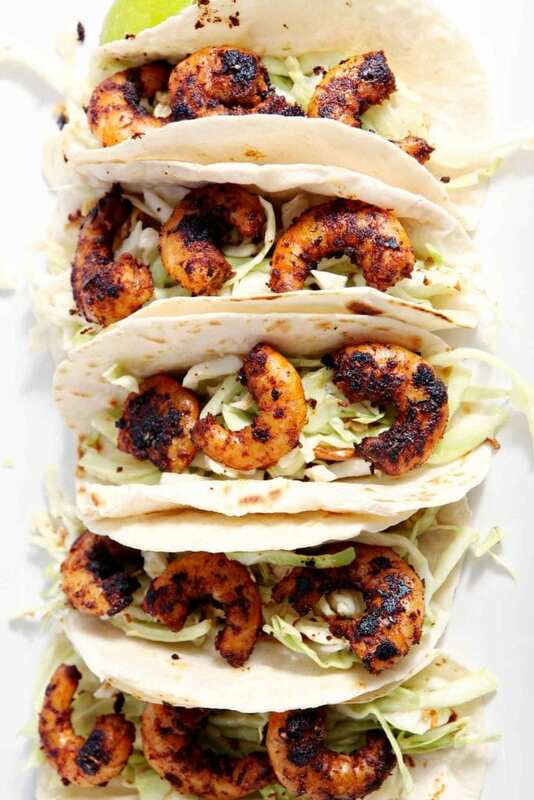 Blackened shrimp, made with homemade blackened seasoning, get the star taco treatment when served on homemade Asian-inspired slaw. Yum from The Speckled Palate! Looking for a great Easter ham recipe? Let Pook's Pantry show you how to make an out-of-this-world delicious ham glaze with only 6 ingredients. Slather it all over your spiral cut ham and get ready to feast! Adding eggs, ham, and turkey to a salad really turns it into a full meal. Make it in a jar so all you have to do is pop it in your lunch bag--upright!--and shake it up when it's time to eat. You can also keep these in the fridge for grab your own salad night. Because that should be a thing! I love this pie so much you guys. Serve it in small slivers as a side or a nibble. You can even serve it as part of a hearty brunch or breakfast. No time is wrong for this bucatini pie. So good! Carrot cake fans, rejoice. This dip from The Speckled Palate is the best part of carrot cake frosting--cream cheese and powdered sugar--mixed with the best part of carrot cake: shredded carrots and toasted pecans. Add some cinnamon sugar wontons for dipping, and this is a super fun treat your whole family can agree upon. Huzzah! I am almost 100% positive you’ll find at least a few recipes from this week’s menu plan that you’ll want to add to your dinner rotation. 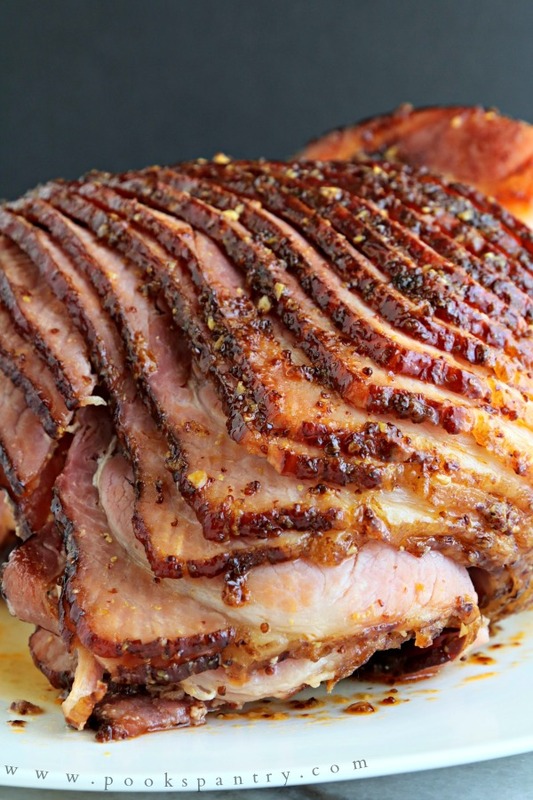 And don’t forget that ham glaze–you’ll want that in a couple of weeks for Easter! Thank you so much for spending some time with us today. Enjoy the meal plan, and let us know what you’re making!